Solar energy holds the best potential for meeting humanity’s future long-term energy needs while cutting greenhouse gas emissions—this much is now beyond question to those specialising in the matter. However, transforming this potential into a reality (and quickly enough) will require a much stronger emphasis on developing lower-cost technologies and this must couple with appropriate and effective deployment policy. which is part ofa series of multidisciplinary reports that examine the role various energy sources could play in meeting future energy demand under carbon dioxide emissions constraints. The study itself reflects on the technical, commercial and policy dimensions of solar energy today and makes recommendations to policymakers, illustrated in the US context, regarding more effective support for research and development, technology demonstration, and solar deployment. Among its major themes is the need to prepare our electricity systems, both technically and from a regulatory standpoint, for very large-scale deployment of solar generation, which tends to vary unpredictably throughout the day. To this end, the study emphasises the need for research and development support to advance low-cost, large-scale electricity storage technologies. Armstrong emphasised that there are many challenges in store if our global energy demand is to continue growing at its expected rate, in a carbon-constrained future where the goals of the Paris Accord are to be upheld if we hope to mitigate the worst of the expected risks of climate change. Storing energy drawn from the sun remains problematic. 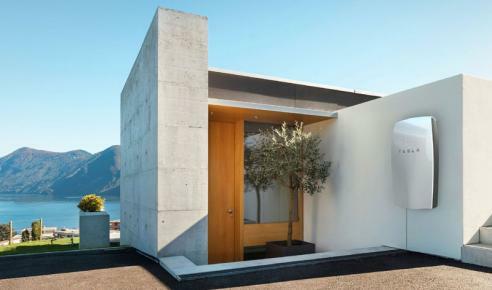 While we are getting to the stage where we are overcoming the day/night storage concern, with commercial products like Tesla’s Powerwall now available at relatively affordable prices, the seasonal storage concern remains, particularly in parts of the world that lack the solar exposure of places like California or Nevada. Still, there is reason to be hopeful. He emphasised that the combination of innovative technologies and smart and responsive policy-making holds the key. Thin-film solar cells versus the current prominent “wafer” rigid ones could offer big improvements, while creating biofuels or splitting water molecules could provide new storage methods. 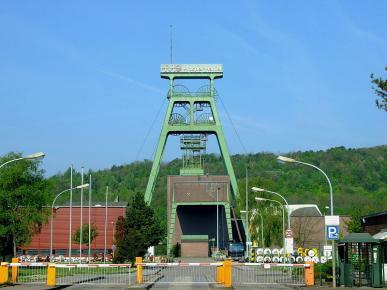 He provided the fascinating example of an abandoned coal-mine, which powered German industry for almost half a century, that recently got a new lease on life when it was turned into a giant battery that stores excess solar and wind energy, with the use of hydro pumps. Drawing examples from his home country, the United States, Armstrong explained that there has been exponential growth in solar markets nationwide at all scales: utility, commercial, and residential levels. The unsurprising winning state is of course California, but even cloudier states like New York and his home state of Massachusetts have made great progress in the past decade. During the Q&A, when asked about whether solar energy held the potential to alleviate more than simply growing energy demands, Armstrong explained the incredible work being done by MIT’s TATA Centre (of Technology and Design). Here, researchers take innovative technical ideas and implement them in developing parts of the world where they can also alleviate other pressing socio-economic concerns. 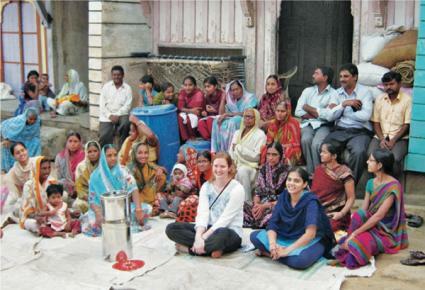 Notable examples of their work include the use of solar to replace harmful diesel irrigation pumps for millions of farmers in rural India, as well as another project which provided a drinking water solution to a refugee camp in Syria with state-of-the-art desalination technologies. Of course, everyone in the room was dying to hear what the Professor’s thoughts were regarding how the current situation in Washington under would affect the future of solar. When the question inevitably (but finally!) came up, Armstrong offered a pragmatic and hopeful response, one that was reassuring to all the concerned environmentalists (including ourselves) present. He stressed that removing oneself from the Paris Accord is a four-year process, and he jokingly admitted that he hopes the Donald won’t be President for that long. On a more serious note, he explained that states have a lot of independent power, and that Congress thus far has not approved Trump’s budget proposals, which aim to drastically slash funding for renewable research and cut EPA subsidies on which the American solar markets currently depend for competitivity. 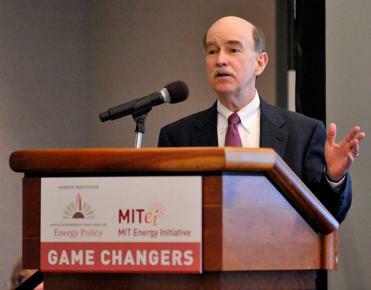 We commend MIT and Professor Armstrong for their remarkable efforts and work. It is thanks to the quality of research of initiatives like theirs that the world is (still) moving in the right direction, and into a brighter future. 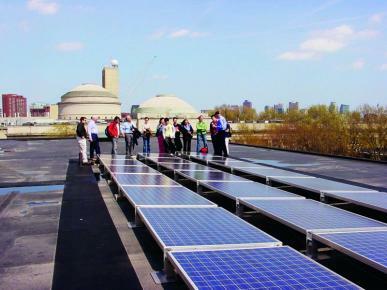 For more information or a downloadable copy of The Future of Solar Energy study, http://energy.mit.edu/research/future-solar-energy/.